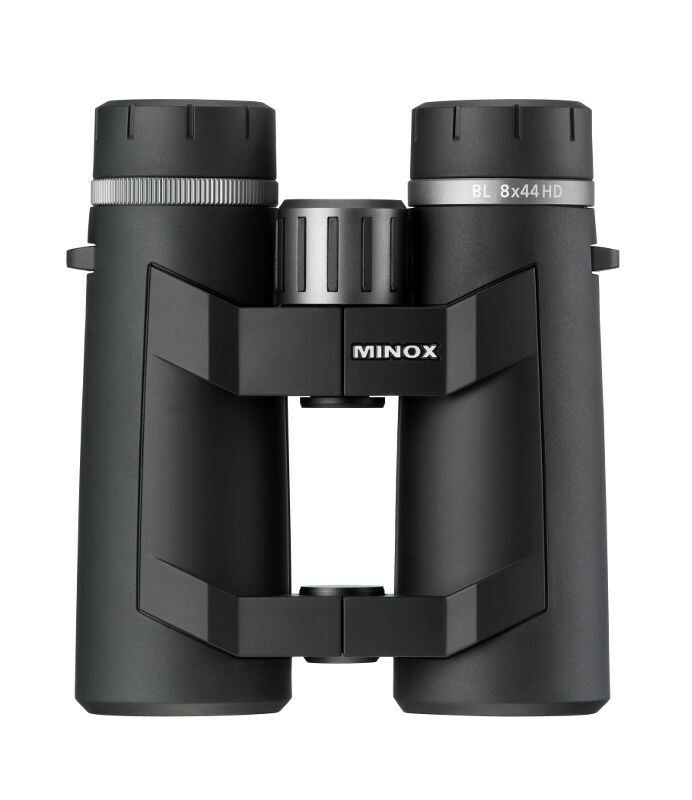 New from Minox the BL-HD Series 8x44 binoculars are the epitome of German optics engineering. With highly specialised HD glass combined with the finest of glass coatings will give you a truly unique viewing experience. They are lightweight with a beautiful ergonomic design with a new and dynamic open bridge design. The BL-HD series is everything you would expect from a premium German made binoculars. The Minox 8x44 BL-HD Series binoculars features phase corrected prisms with high density glass and anti-reflective multi coated optics that will treat you to beautifully crisp and bright contrast and colour. With anomalous partial dispersion (APD) you can be assured that these German made binoculars will give you a well-rounded performance in all light conditions. The APD elements seriously minimize chromatic aberration giving you a sharp and clear image right to the edge of your field of view. The optical tubes are nitrogen filled and O-Ring sealed for fog proof performance as well as being water-proof up to 16 feet. They are housed inside a light, polycarbonate body ensuring that they won't become cumbersome during long spells of use. The Minox 8x44 BL-HD are a new cutting-edge binocular that are well suited to those who are serious outdoor lovers.